ADAM, GRAEME MERCER, publisher, editor, and author; b. 25 May 1839 in Loanhead, Scotland, son of James Adam and Margaret Wishart; m. first 1863 Jane Beasly Gibson (d. 1884), and they had eight children; m. secondly 1891 Frances Isabel Brown, and they had at least one child; d. 30 Oct. 1912 in New York City and was buried in Toronto. Graeme Mercer Adam was christened with the name of the owner of the estates where his father was factor. 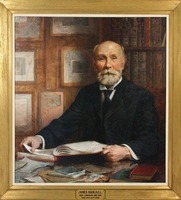 He grew up in a literate family, and from his earliest days as a student in Edinburgh showed a keen interest in the publishing trade, which the houses of William Blackwood and Sons and Thomas Nelson and Sons dominated. He worked in publishing in Edinburgh and is said to have been given the opportunity to come to Canada and to enter the book business of John Cunningham Geikie in Toronto through the Blackwood connection. When Geikie decided in 1860 to pursue his career in England, Adam joined forces with James Rollo to buy into the business. Although Rollo and Adam did not have a printing-press on its premises, the partners nevertheless contracted for a certain amount of original publishing. They also tried their hand at producing local editions of British and American authors, an early exposure, for Adam, to the vexed question of copyright, with which he was to be much concerned later. Among the firm’s first main enterprises was the launching in Toronto in May 1863 of the British American Magazine, a publication which must be counted, for all its short life (it ceased publication in April 1864), an impressive achievement in the literary life of the country. It was edited by Henry Youle Hind*, a geologist whose strong commitment to the future of the Canadian northwest may account for Adam’s subsequent interest in the region. John Reade, Thomas D’Arcy McGee*, and Charles Mair* were contributors, and Adam wrote reviews. When Rollo retired in 1866, Adam formed a new partnership with John Horace Stevenson; their firm soon expanded markedly the previous business’s activities as a wholesaler and job-printer of books. In 1866 Adam commanded a company of the Queen’s Own Rifles in the engagement at Ridgeway during the Fenian raids. 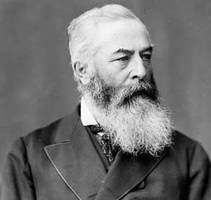 Canada in the 1870s, despite economic uncertainty and a glum mood of post-confederation let-down, sustained a lively intellectual life. Adam, for his part, climbed quickly as a book dealer, publisher, and literary entrepreneur. Rollo and Adam had published a few issues of a journal called the Canada Bookseller beginning in 1865, and in 1870 Adam, Stevenson and Company began the regular publication of another trade journal of that name, in which Adam predicted that the demand for locally produced reprints might lead to “the incitement and development of a creditable and not unimportant native literature and the building of a large publishing interest in our midst.” By 1872, however, he had allowed the journal to be edged out by a much more ambitious undertaking which in part subsumed its purpose. The genesis of the Canadian Monthly and National Review, first issued by Adam, Stevenson in January, lay in the Canada First movement and the personal initiative and financial support of Goldwin Smith*, recently arrived from Cornell University in Ithaca, N.Y., and already shaking up the intellectual life of small-town Toronto. The Canadian Monthly followed the pattern of the mother country’s Fortnightly Review (London) and was a worthy imitator. Meticulously and imaginatively edited by Adam, it carried a stream of original essays on a wide variety of subjects from the hands of highly respected Canadian writers of the time: Daniel Wilson*, William Dawson LeSueur, William Henry Withrow*, Martin Joseph Griffin, and Charles Lindsey*, to name a few. Agnes Maule Machar* and Louisa Annie Murray* contributed both essays and fiction. In politics the Canadian Monthly was non-partisan; in philosophy it reflected the rationalist and progressivist thought of the late 19th century. Under Adam’s steady direction except from 1876 to 1879, the periodical sustained its readership for the better part of a decade. To this day it can be seen as a flagship in the ranks of Canadian serial publications. The gap in Adam’s tenure as editor of the Canadian Monthly was occasioned by serious financial difficulties at Adam, Stevenson, and when an offer came from John Lovell* to join him in his publishing ventures, Adam accepted. 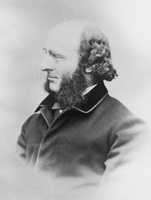 Lovell, a well-known figure in the book trade in Montreal and, since 1850, in Toronto, had had as partner John Gibson, his brother-in-law and the editor in Montreal of the Literary Garland, one of whose daughters, Jane, Adam had married in 1863. In 1872 Adam had joined Lovell in writing A letter to Sir John Rose, bart., k.c.m.g., on the Canadian copyright question (London), and soon afterwards Lovell began a spectacular career in American publishing by stereotyping and printing British works from American sources in a new plant at Rouses Point, N.Y, and sending them across the border as pirated American reprints after payment of duty. The commercial success of the scheme led in 1876 to the establishment in New York City of a partnership between Lovell, his son John Wurtele, and Adam. When Lovell’s son-in-law Francis L. Wesson joined the firm it became Lovell, Adam, Wesson and Company. In 1878 Adam was back in Toronto and in July 1879 he resumed his role as senior editor of his old journal, now the Rose-Belford’s Canadian Monthly and National Review. It retained its excellent standards, but perhaps its intellectual bent and the “high seriousness” of its moral tone were catering to a diminishing audience; it ceased publication in 1882. The years following confederation were formative ones in the development of education in Ontario. Adam saw a potential market and approved the cause. In 1879 he began in Toronto the Canada Educational Monthly, perhaps in part to fill a gap left by the closing in 1877 of the Journal of Education for Ontario, which John George Hodgins had edited. Adam’s publication did well, quickly winning for itself a reputation that went beyond the boundaries of the province. 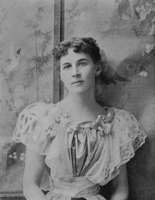 At the same time, he kept up his connection with Goldwin Smith, whom he greatly admired, serving in the 1880s as secretary and literary assistant in Smith’s otherwise single-handed publication of the Bystander. When, with Smith’s active support, the Week began in 1883, Adam joined its staff of writers. Pursuing in the same year his educational commitments, he began editing a series of school readers in five volumes. In 1885 he prepared an edition of a work by Thomas Babington Macaulay, Warren Hastings: an essay, and in collaboration with James W. Connor of Berlin (Kitchener) he published a manual of pronunciation and usage for young students. With William John Robertson he prepared, for use in the Ontario school system, a concise Public school history of England and Canada . . . (1886). The 1880s were indeed Adam’s most prolific years as an author and publisher. With an eye to the main chance he capitalized on interest in travel and produced books ranging from summaries of Henry Morton Stanley’s work in Africa to tourist handbooks such as Canada, historical and descriptive, from sea to sea (1888) and Illustrated Quebec . . . (Montreal, 1891). He contributed to George Monro Grant*’s Picturesque Canada . 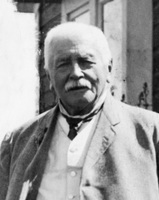 . . (1882–84), and he subsequently oversaw the production of an American edition. He played an important part in the publication of Toronto, old and new . . . , issued in 1891 as a memorial to the 100th anniversary of the founding of Upper Canada and to its capital. In the same year, Adam published his revision of the Life and times of the Right Honourable Sir John A. Macdonald . . . (1883) by Joseph Edmund Collins*, bringing it down to Macdonald*’s death. Somewhere along the way, this remarkably productive man edited a Handbook on commercial union: a collection of papers read before the Commercial Union Club, Toronto . . . (1888), with an introduction by Smith, and a biographical compilation, Prominent men of Canada . . . (1892). In 1893 he issued, in collaboration with Principal George Dickson of the school, a history of Upper Canada College. Adam left Toronto in 1892 for financial reasons. He later wrote to Henry James Morgan that “it behoves one to make many sacrifices, & forego even one’s loved country, for the sake of boiling the pot & making some provision, however modest, for one’s own.” On his departure he had been presented by his friends and colleagues with an address and purse “in recognition of his long and notable services to Canadian letters.” In New York his contacts were assured, and he soon joined the staff of John Wurtele Lovell’s United States Book Company, fast becoming a giant in the industry, as reader and literary adviser. But, although there seems to have been no lowering of his standards as an editor, Adam’s later undertakings lack the continuity and integrity characteristic of his earlier work, and have been called mere hack work, produced to meet the exigencies of earning a living. What is perhaps most important is that the leavening influence, interactive and so strongly exercised within the literary culture of Canada for more than 30 years, was no longer at work. Adam was facing a new market. Among his more successful books of this period was Sandow on physical training (New York, 1894), an account of a celebrated strong man’s career and methods. 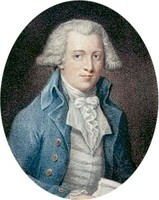 He also revived his interest in travel literature and educational works. In 1896 he moved to Chicago to become editor of the newly launched Self-Culture, and when it moved to Akron, Ohio, he followed its shaky fortunes there. By 1903 he was back in New York, doing general literary work for the various publishing houses that made up the United States Book Company. He died there on 30 Oct. 1912 and is buried in St James’ Cemetery, Toronto. In 1960 one of Adam’s sons dedicated a modest drinking fountain in Allan Gardens in Toronto to his memory. The inscription, “Author and Historian of Early Toronto,” is misleading and inadequate, but consistent, in its pedestrian way, with the downward turn in Adam’s life after he left Canada. In the earlier years, however, next to Smith (and the exception bears weight) Adam was probably the most influential literary figure of the immediate post-confederation period writing in English in Canada. 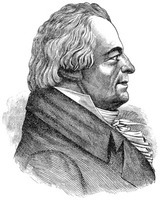 He was in fact a kind of vade-mecum for all matters pertaining to the writing and publishing of books, both within the country and abroad, during these years. An early biographical source speaks of the debt which Canadian literature can never repay: “Literature the man loves, and it is not an exaggeration to say that his life has been consecrated to it. How bitter have been the fortunes of letters in Canada, is a fact only too well known, but Mr. Adam has always been fighting the literary fight, and when others have dropped out of the battle, he has kept up his courage.” The fact that Adam did in the end “drop out” is perhaps a measure of the difficulties he faced rather than of the man himself. Listings for publications by Graeme Mercer Adam in addition to those mentioned in his biography appear in CIHM, Reg. NA, MG 29, D61. Donald Jones, “Modest monument: Allan Gardens fountain celebrates pioneer Canadian publisher,” Toronto Star, 8 Dec. 1979: H11. Canadian men and women of the time (Morgan; 1898 and 1912). Cyclopædia of Canadian biog. (Rose and Charlesworth), vols.1–2. Dict. of Toronto printers (Hulse). An index to the “Canadian Monthly and National Review” and to “Rose-Belford’s Canadian Monthly and National Review,” 1872–1882, comp. M. G. Flitton (Toronto, 1976). R. L. McDougall, “A study of Canadian periodical literature of the nineteenth century” (phd thesis, Univ. of Toronto, 1950). G. L. Parker, The beginnings of the book trade in Canada (Toronto, 1985). Standard dict. of Canadian biog. (Roberts and Tunnell). Robert L. McDougall, “ADAM, GRAEME MERCER,” in Dictionary of Canadian Biography, vol. 14, University of Toronto/Université Laval, 2003–, accessed April 24, 2019, http://www.biographi.ca/en/bio/adam_graeme_mercer_14E.html.